A video filmed from the cockpit of a MiG-29SMT fighter jet engaged in a mock dogfight was recently released by the press service of Russia’s Western Military District. The fight was filmed by two GoPro cameras – one was installed on a cockpit canopy while the other was mounted on pilot's helmet. The video clearly shows how the pilot launches air-to-air missiles – both forward and backwards – and fires the plane's autocannon. The MiG-29SMT (NATO reporting name: Fulcrum-E) is an advanced version of the MiG-29 multirole fighter aircraft. 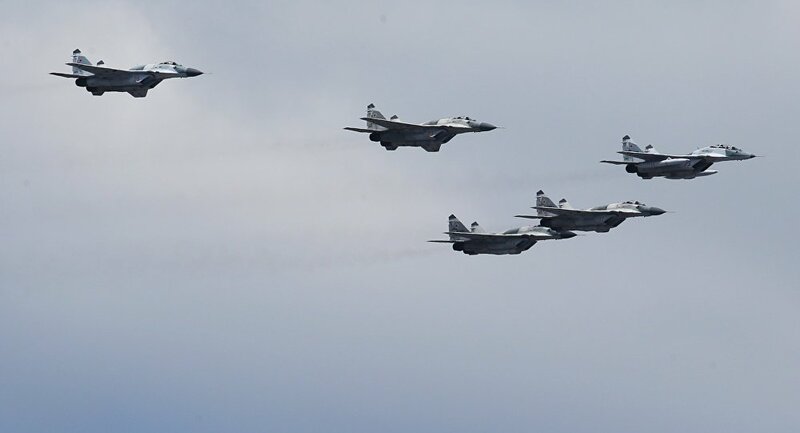 The MiGs involved in this dogfight were among a group of jets that was recently transferred to the Leningrad Region to take part in a military exercise. A total of six fighter aircraft and about 50 ground technicians are involved in the drills, which are scheduled to end on August 28.